"Shopping" is one of the most pleasant elements of any trip, and trips to Uzbekistan are no exception. It is hardly imaginable to visit Uzbekistan and not to bring back a "babaichik" figurine or "tubeteika" traditional Uzbek cap. However, let us start from the beginning. Traveling to Uzbekistan, you must remember that this country is not known mainly for its shopping. However, here you can buy almost anything. How is this possible? In the East, and in particular, in Uzbekistan, people traditionally buy goods at bazaars rather than in shops. If you want a really great bargain, visit the Yangiabad Bazaar, a well known "flea market". The Alayski Bazaar is the oldest and one of the most famous bazaars in Central Asia. Whereas in most department stores the prices are fixed, in the bazaars, private shops and souvenir stores haggling is expected. It is not so difficult to get a huge discount, especially on the prices of hand-crafted products and carpets. Bazaars are the best places to observe the daily life of the local people. Neither the things you buy, nor your new impressions from the bazaar will disappoint you. Suitable places in Tashkent include the "Eski Djouva" or "Chor Su" bazaars, located in the Old City. You will see beautiful rugs, soft silk, intricate khan atlases, dried fruit, spices, handicrafts, Uzbek style souvenirs and traditional hand-made clothes and footwear. 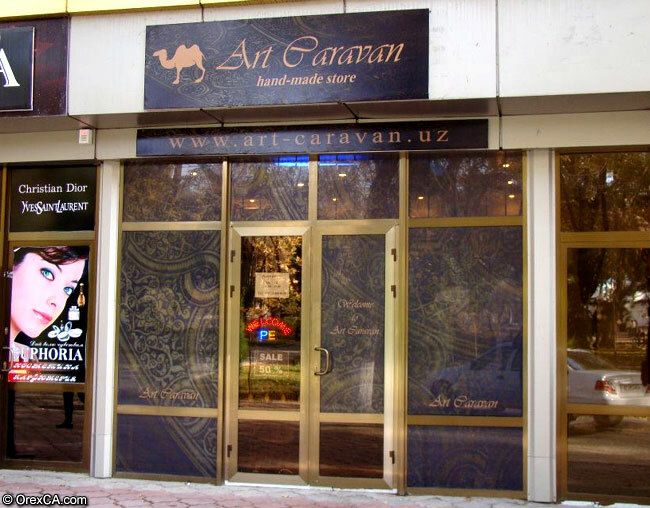 Many museums in Tashkent, Bukhara, Samarkand and Khiva have their own small shops offering various hand-made articles, antique items, paintings and aquarelles. All who have visited Uzbekistan have been particularly delighted with the sweet, juicy, sun-enriched fruit. These fruits are the pride of the local traders. Local "dried fruit" - coragha, dried figs, prunes, raisins, sun-dried melons, almonds, peanuts, walnuts, and sesame seeds in sugary syrup - it's a real "oriental fantasy", and when this delicious produce is skillfully packed by the merchant, it becomes a wonderful "present from Uzbekistan". Shilajit is also one of authentic gifts to take home from Uzbekistan. 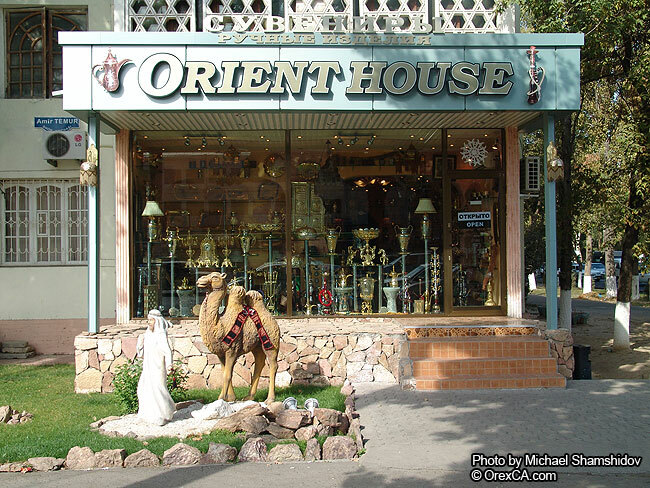 You won't leave Uzbekistan empty-handed - it is a principle of oriental hospitality.